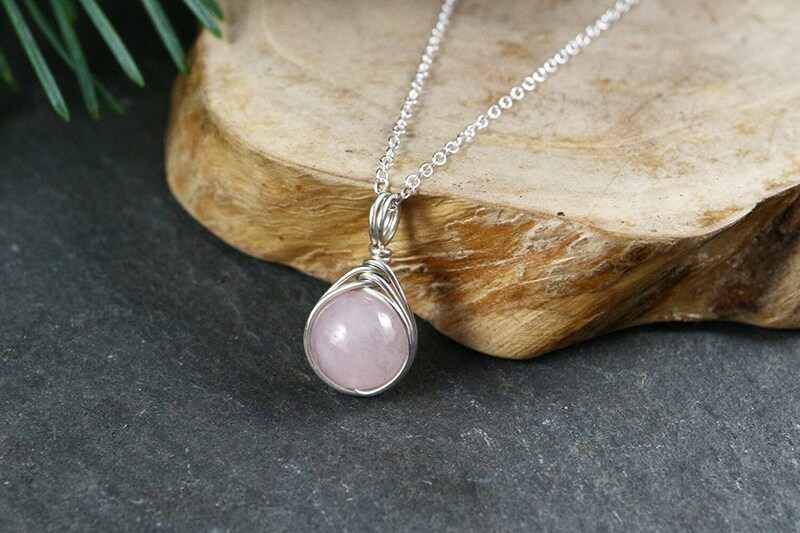 Rose Quartz gemstone pendant, wire wrapped with sterling silver wire. Rose Quartz is a stone of the heart. It promotes compassion, unconditional love, peace, tenderness and healing. 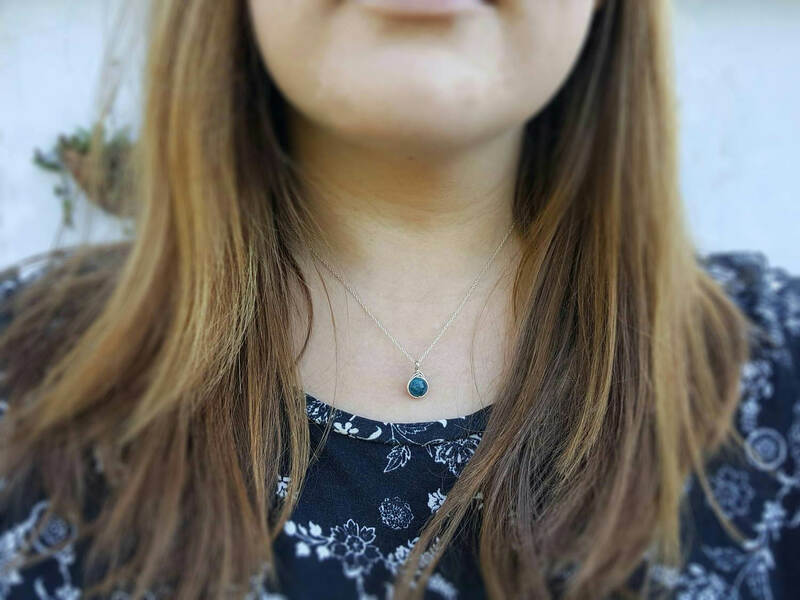 It has been used as a love token throughout the ages, and so opens up the heart to truly feel love to it's deepest level. 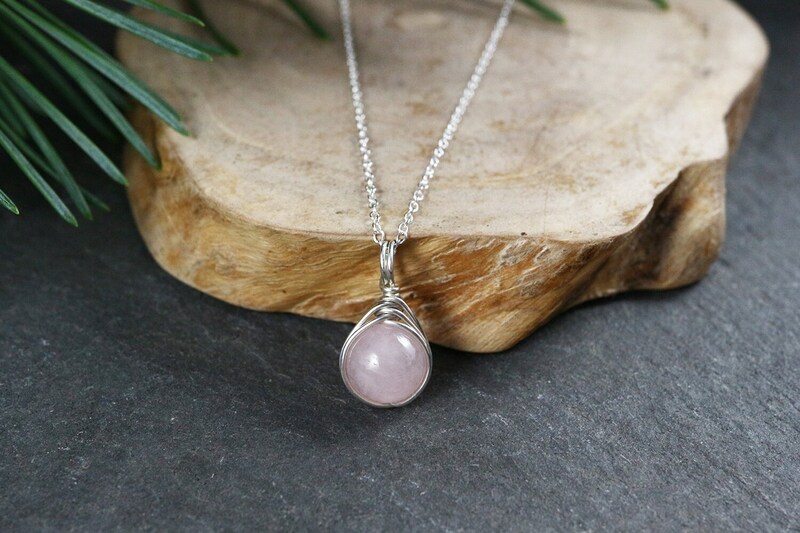 Rose Quartz is beneficial for those born under the signs of Taurus and Scorpio, so a perfect gift for anyone with these signs! Always delighted with the little boxes of pretty jewellery from this shop.